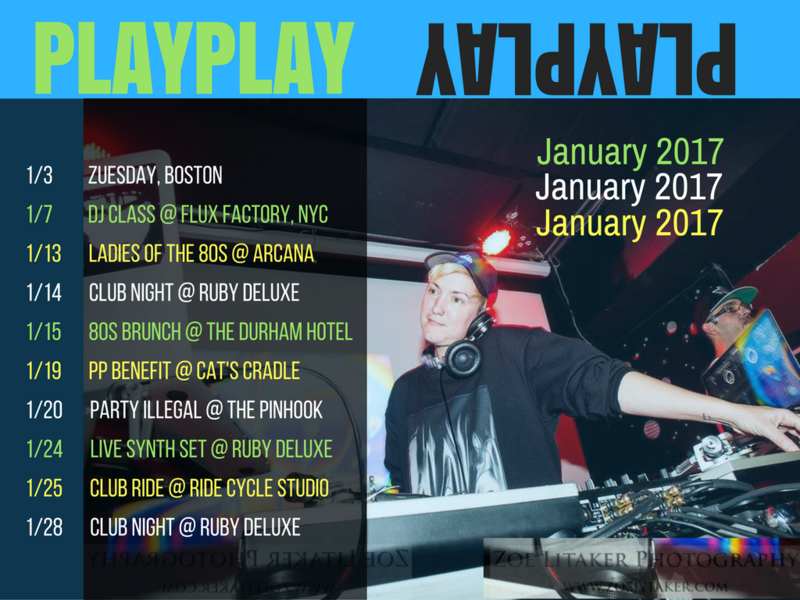 I’ll be crawling out of the black hole that is music producing to play several parties this month! 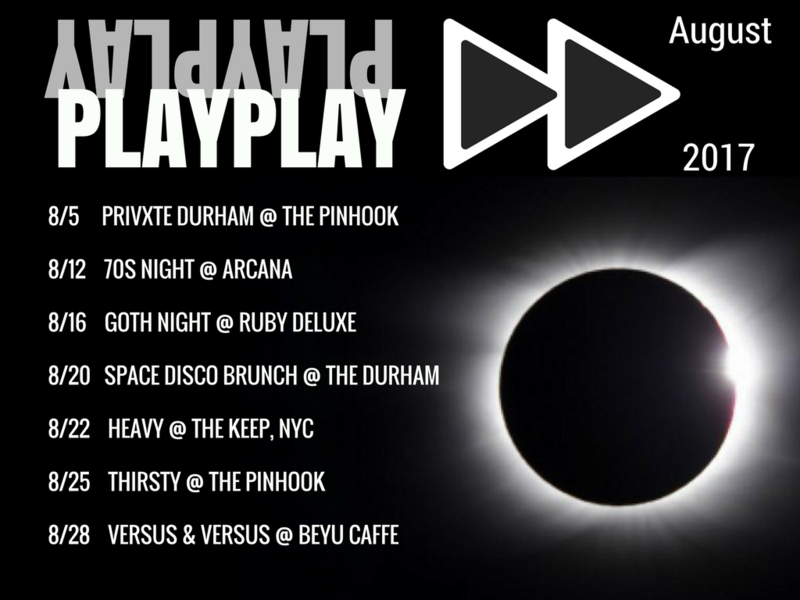 Playing several club nights, including a guest set at HEAVY NYC, as well as a couple of disco and early electro sets, a goth industrial night, and a special early vs late 90s hip-hop/r&b set. 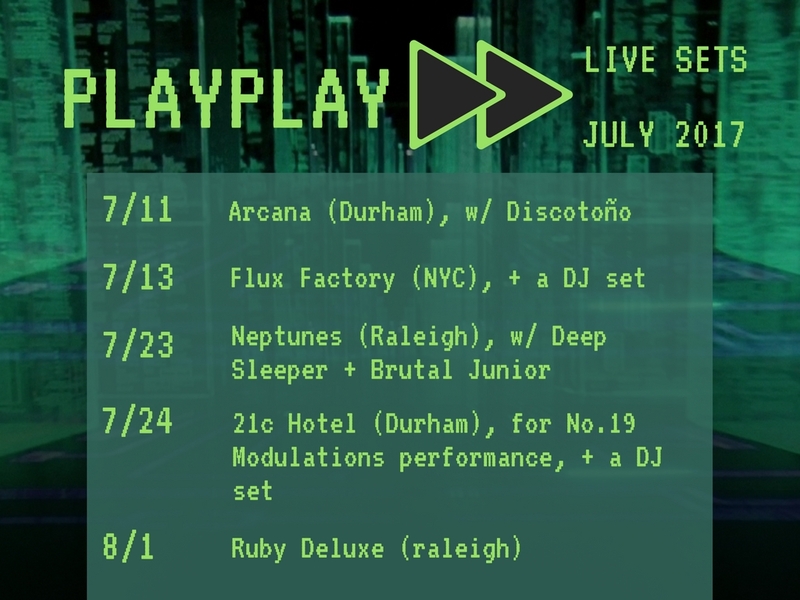 This month I’ve reduced my DJ gigs to concentrate on performing live with synths (Moog Mother 32+ Werkstatt) & my Electribe Sampler. So far I’ve just been rocking out in my room but it’s time to take the show on the road. Here’s where you can find me this month. Had the opportunity to chat with Vancouver-based music blog Dope Haus during Moogfest this year about gender dynamics, Party Illegal, teaching people about the impact of LGBTQ+ folks on dance music, and more. Check it out! 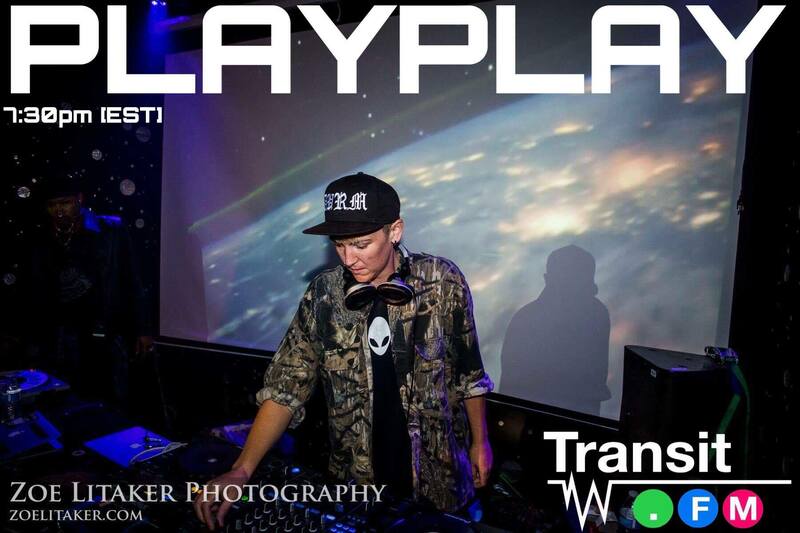 This workshop, specifically for women and genderqueer community members, will teach the basics of DJing. Attendees will learn about turntablism, beatmatching, set composition, and the art of reading a crowd. This will be a hands-on workshop, encouraging attendees to hop on turntables and CDJs to mix tracks together. How can musicians use their artistry to promote important social and political causes? Join this conversation with a group of acclaimed musicians and scholars, and learn how they are working to improve their communities and the world, through music… and discover how you can do the same. Here’s where I’ll be for the rest of March & April. Busy month! There are a lot of different gigs on this list, genre-wise, so no two sets will be the same. I just returned from an epic trip through Mexico City and LA, and I’m feeling very musically inspired by all of the sounds I heard and all of the parties I went to. Both of these cities exude creative energy, & I definitely soaked alllll up in it. 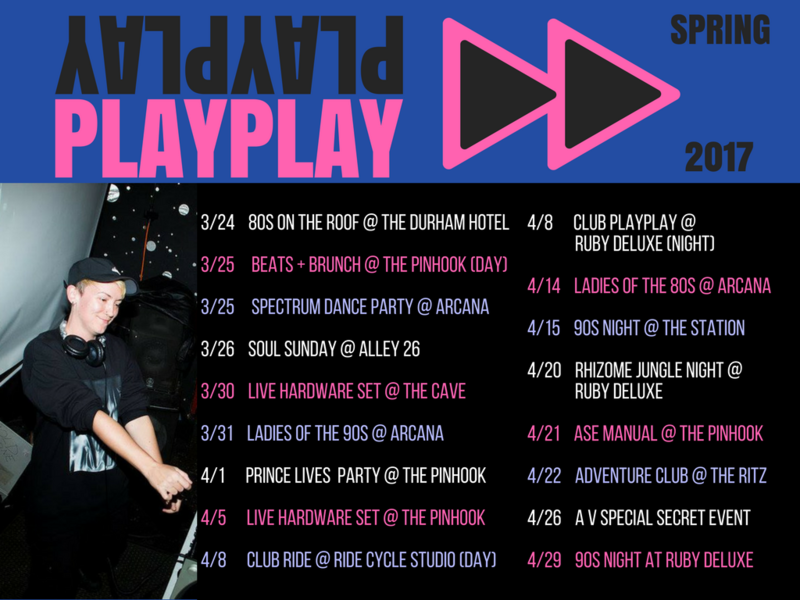 Anyway, ready to carry this energy forward into my sets and production in NC this spring! This Thursday 2/2, I’ll be on a panel discussing the way in which sound can be used by activists as a source of power. Joining me on the panel will be Tina Haver Currin, Christopher DeLaurenti, and Rodrigo Dorfman. In approaching this discussion, I’m thinking about the ways in which the police use high-pitched sonic weapons to create an atmosphere of fear among activists, particularly the LRAD and police sirens. I just released a track that samples the LRAD and police sirens but then flips them into tools for a club track that people can dance to. In doing this, I hope to temporarily disarm their sonic weapons and turn them into something that can unite activists on the dancefloor. Some of my favorite artists sample & flip sonic weapons in their tracks – everyone from KRS-One to False Witness. They have inspired me to give it a try with this new track. Overtly political music is once again on an upswing, and I look forward to hearing about the ways people have been using music as a tool for activism. Happy New Year everyone. Here’s where I’ll be in January!